This drama was fully pre-produced before airing which is a departure from the live-shoot production format that characterizes most Korean dramas. The Filming Began on 2015-Nov-26 and Completed on 2016-Apr-12. 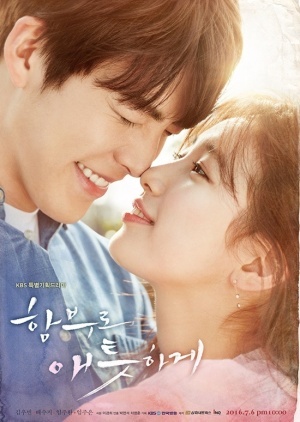 Shin Joon Young (Kim Woo Bin) and Noh Eul (Bae Suzy) were a couple who got separated during their childhood due to an ill-fated relationship but meet again in later life. Shin Joon Young is now a top actor-singer while Noh Eul is a documentary producer.